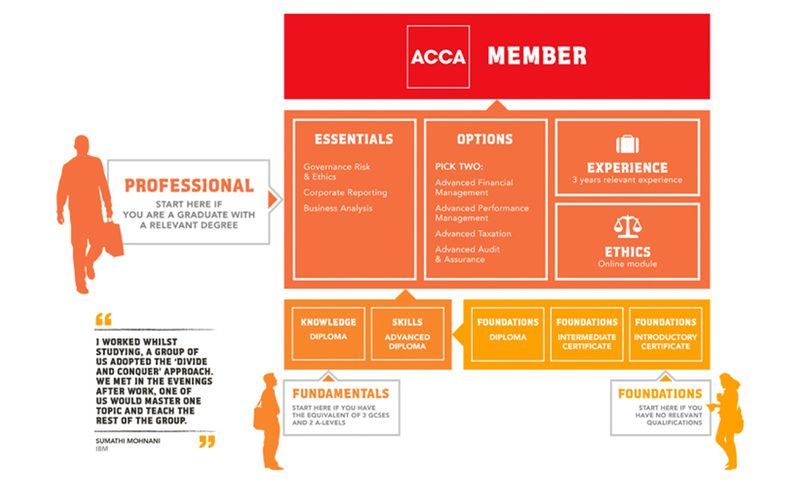 The Association of Chartered Certified Accountants (ACCA) is the world’s leading professional accountancy body, supporting 170,000 members and 436,000 students in 180 markets. With such diverse operations, it was becoming increasingly challenging to maintain a consistent message and build a coherent image across the globe. We conducted an in-depth discovery process, including auditing current activity, reviewing existing research, conducting interviews with stakeholders around the world and facilitating workshops with the core team. This process uncovered that all the competitors had a niche focus, be it a specific region, customer set or profession. ACCA on the other hand had more breadth to their offering. They catered for a wider range of students, offered a wider range of courses and covered more countries around the world. The opportunity was to make a virtue of their breadth versus their narrower competitors. Our strategic and creative teams worked hand-in-hand to translate this observation into a compelling story to build the brand around. We observed that everyone has a different view of what success looks like, and that everyone takes a different path to get there. 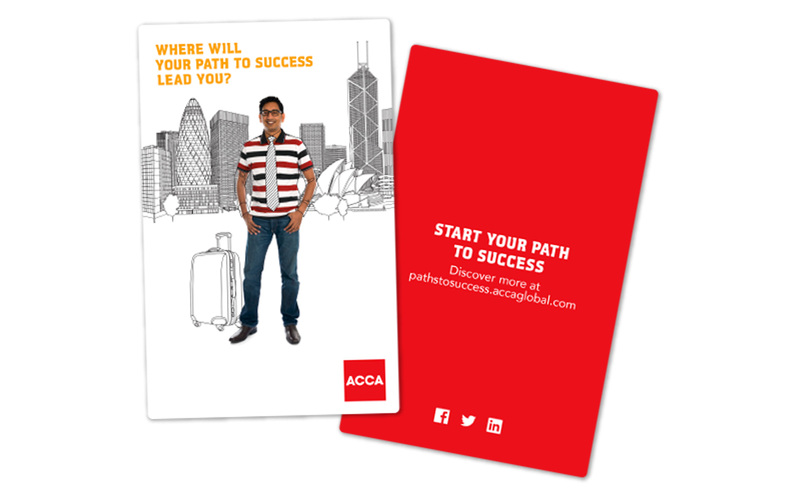 Because the ACCA has a greater breadth than competitors, they are able to offer a wider range of routes to success. The brand idea off which everything would hang became ‘we offer more paths to success than anyone else’. This new positioning would need to be communicated across a wide range of markets, using many different channels. 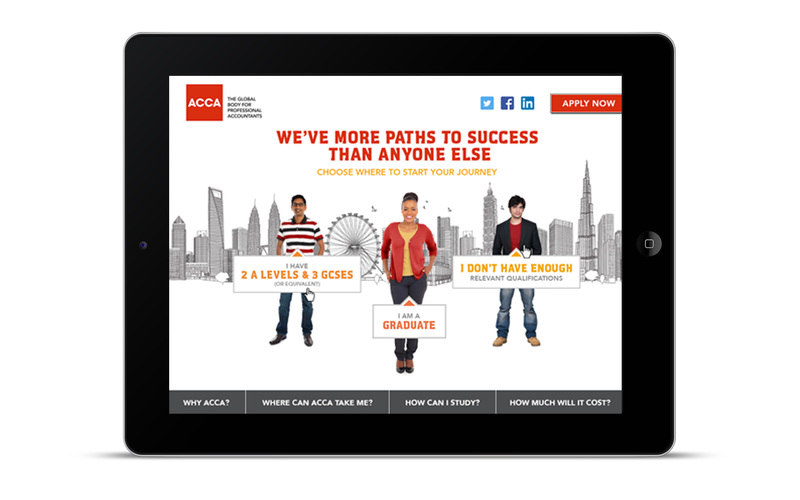 A launch campaign was needed, but it needed to be flexible enough to adapt to the ACCA’s global challenges. Our creative idea was to show students drawing their own vision of what success was to them. It was universally understood and easily re-executed to talk to different markets.